White began with Bedlay Juniors and joined Albion Rovers in 1920, playing in their losing Scottish Cup Final side in his first season. Two years later he was capped by Scotland against Wales and a £2,700 transfer to Hearts in May 1922 saw him fulfill his vast potential. 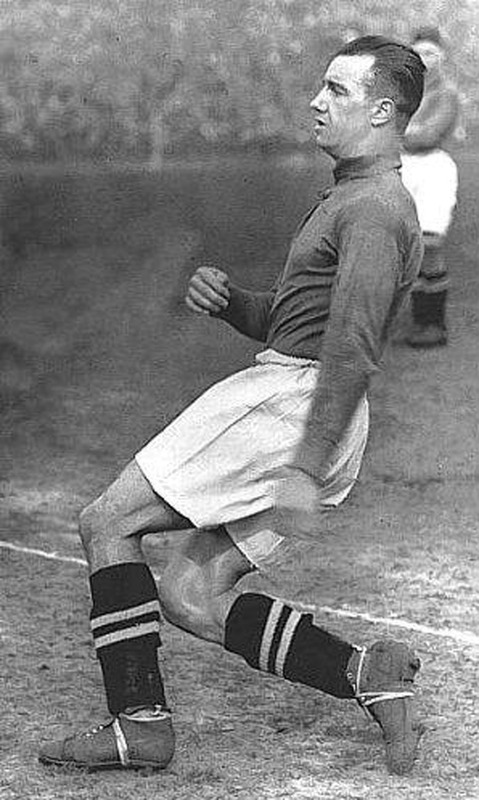 He was top scorer at Hearts for five consecutive seasons, scoring one hundred and two goals, including four goals a game in three successive matches in 1925-26. He was Scotland’s top scorer in 1922-23 with thirty goals. Curiously he won only one more cap, although he played for the Scottish League four times. When Leeds signed the Scottish International from Hearts in February 1927 for £5,600 he became one of the most expensive players of his day. He took a season to adjust to the English game and United could have reaped a quick profit when Sheffield United put in a £6,000 bid in November 1927. They rejected the offer and and White repaid them with a rich vein of form. At the age of thirty-three he returned to Hearts for £2,350 in August 1930 and then moved on to Margate in 1934. He was one of four brothers who played professional football, including Willie White, who played for Hearts and the Scottish League. He was also the brother-in-law of Andy Anderson of Hearts and Scotland. White died, aged eighty-eight, in February 1986.